As you get to the end of Elijah’s Lane in Mattituck there is a hand painted sign on a piece of wood that directs you to turn left on Oregon Road to Shinn Estate Vineyards. It’s your first clue that everything is different there. Barbara Shinn and David Page, who is a chef, came to New York from California in the early 90’s and opened Home Restaurant in Greenwich Village in 1996. They were interested in local cuisine, which they saw as both local foods and local wine. Their restaurant was known for serving only New York wines. (It was also known for producing a cookbook that won a James Beard award.) 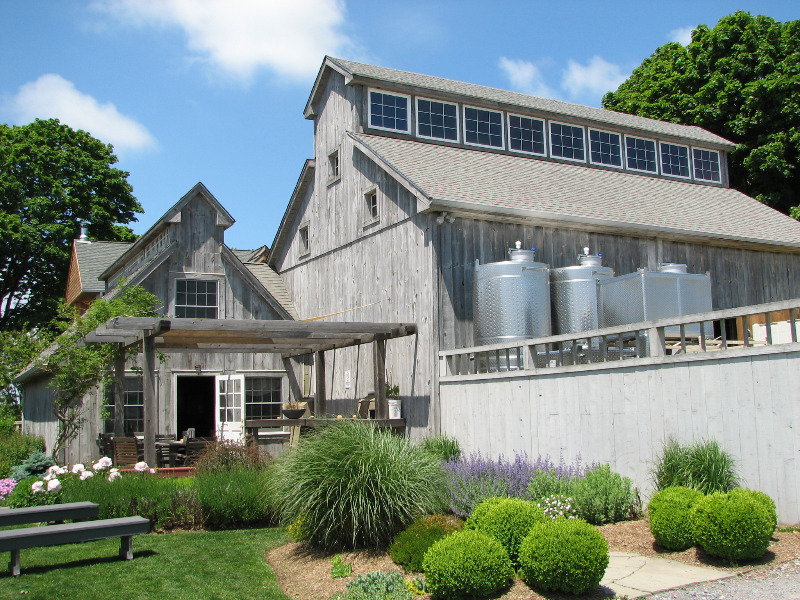 They began experimenting with wine and produced a custom blend at Jamesport Winery on the North Fork that was bottled under the Home Restaurant name. However, to get what they wanted, which was a wine made using biodynamic, sustainable methods, they had to build their own winery which they did starting in 1998. In 2007 David stopped commuting and they sold their interest in Home Restaurant to focus completely on the winery and a small bed and breakfast next to it. At Shinn Estate Vineyards, Barbara is the manager and she has broad experience in organic viticulture, so the winery is moving as close as possible to organic farming. The 20 acres of vineyard are not tilled and no herbicides are applied. Cover crops make the vineyard look like a meadow. They attract bugs that eat bad vineyard bugs and other nuisances. Drip irrigation is used to spread compost. Grapes are handpicked. The stemming machine is run very slowly to keep the fruit whole, one cluster at a time. They are thinking of hand stemming. They try to use indigenous yeasts, and spontaneous fermentation is used as much as possible. No enzymes, tannin additions or additives of any kind are used. The wine is left on the skins three times as long as most wine in the area. There are no seeds in the wine to prevent unwanted tannins. There is no must pump. Everything is done by gravity. Different types of oak are used creatively. It is all very labor and time intensive. 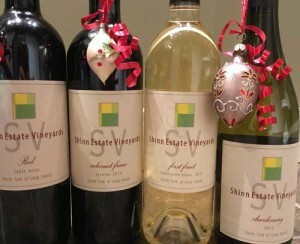 Shinn Estate Vineyards is not yet organic, and some say that the damp climate which promotes mold and mildew may make it impossible to achieve that goal. But they are headed in that direction. What they do have is very meticulously made wine that was good from the start. The first wine was a 2002 Merlot that got 3 stars from Eric Asimov of the New York Times and was picked as the best Long Island wine. The 2003 Merlot was given 3 ½ stars from Asimov’s panel in a tasting of Thanksgiving reds. 2006 Ultra Brut ($35) is an all-Chardonnay sparkling wine that is very crisp and has great acidity. It was excellent. 2008 Coalescence ($14) is a white blend of four grapes that tastes of grapefruit, peach and strawberry. It’s a good value for a clean, vibrant summer wine. 2008 Anomaly ($18) is well named. It’s a white wine, very full bodied, no oak, with cherry and strawberry tastes. It turned out to be a pinot noir that had no skin contact, therefore no color. It’s a unique wine and a steal for the price. By contrast, 2007 Nemesis ($32) is an intensely flavored pinot noir with a great nose and elegant taste. 2008 Rosé ($15) is a Cabernet Franc and Merlot blend that is harvested early and has contact with the skins for 24 hours. Strawberry and watermelon flavors make it a great wine for the beach. 2006 Nine Barrels Reserve Merlot ($45) is made from the best 9 barrels of the vintage and was clean, refreshing, with great acidity. Elegant flavors of blackberry and plum came flying through. 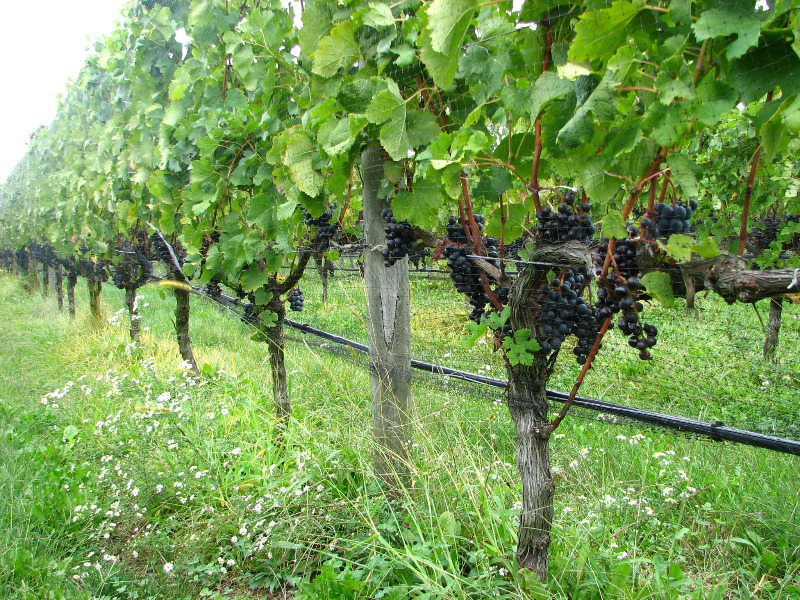 Did you visit Schinn Estate Vineyards, or have you ever tried one of their wines? Share your comments and insights with the community!